Lefranc was born in Laval, France, where he later owned a hardware store. In 1902, at the suggestion of Claude Monet, he first tried his hand at painting. However, it was not until many years later, in 1928, that he gave up his original profession to paint full-time. 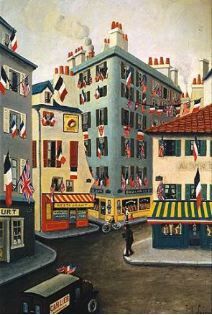 His first one-man show was held in 1938 in Paris, where he lived for some time, and was followed by exhibitions in England, France, and the United States.